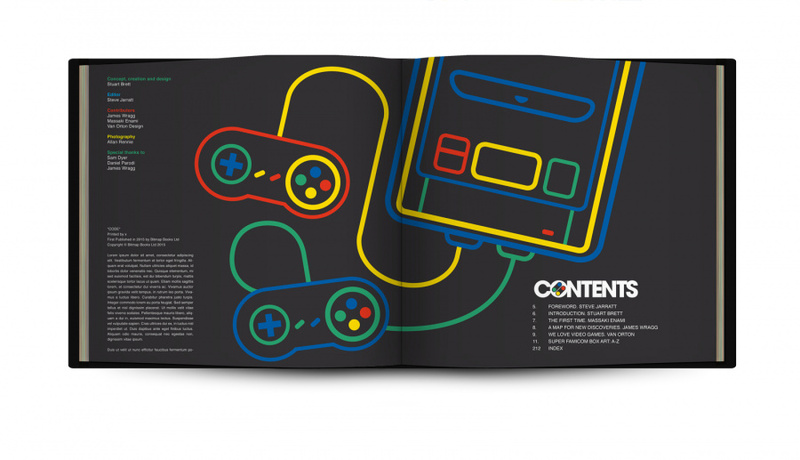 This time last year we reported on a book which look certain to adorn the coffee tables of Nintendo fans the world over. 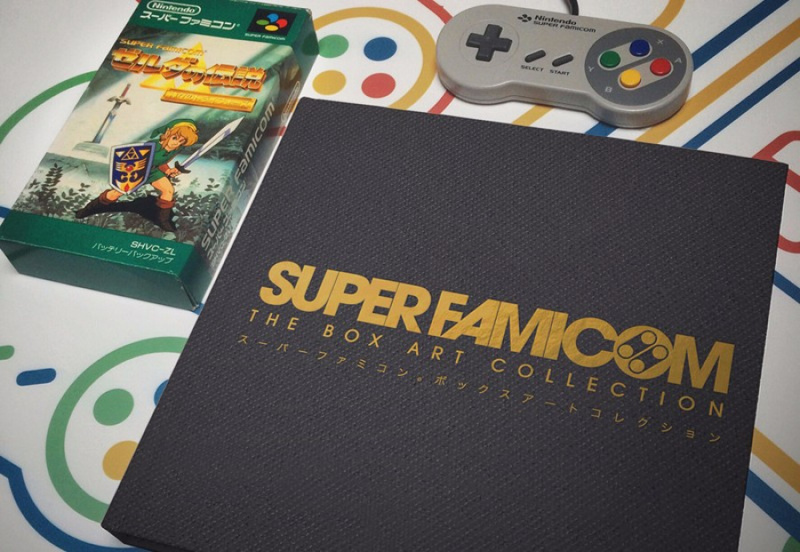 Stuart Brett's Super Famicom: The Box Art Collection was a glorious celebration of the lush Japanese artwork found on 16-bit Nintendo game covers of the period, and a Kickstarter campaign was started in order to bring the project to market. Sadly, Brett was forced to cancel said campaign when doubts arose regarding copyright. Thankfully, a year later, Brett has teamed up with famed UK publisher Bitmap Books and the book is finally becoming a reality. 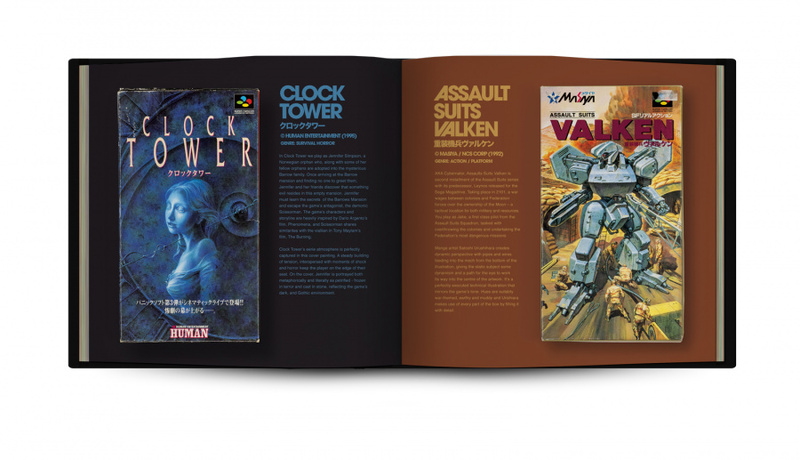 There's no crowdfunding campaign required this time around - Bitmap will be publishing the book outright. Pricing and a solid release date are still to be confirmed. 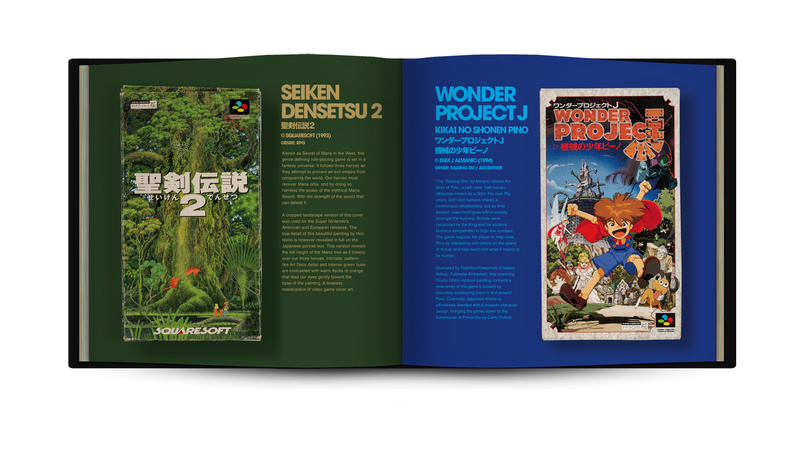 I'm proud to announce that Bitmap Books will be publishing Super Famicom: The Box Art Collection. 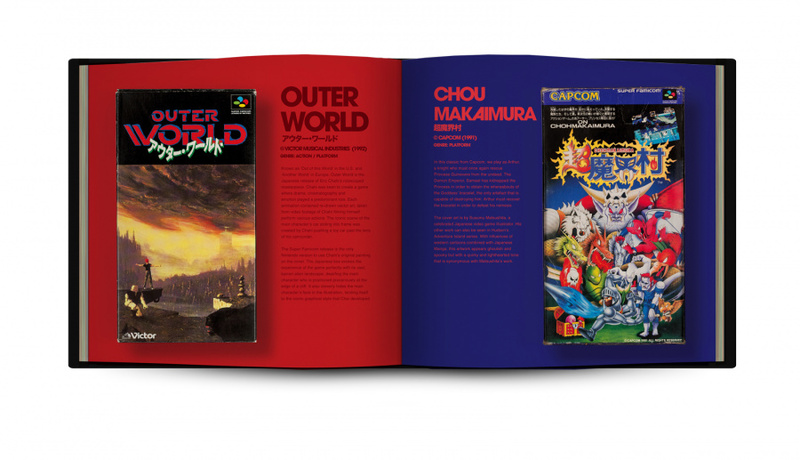 Bitmap have been fantastic in helping me with the project and also making this book much more special. The book is now physically larger - 25cm x 25cm square, which means the games are life-size in the book. We re-shot all of the games for the book in a photographer's studio so I could output them to sizes at ultra resolution. I've also added more pages, which means more games! I also wanted to make the cover more stylish and unique. So, it's now cloth bound with gold foil printed on the front, spine and back. The book now as an editor. 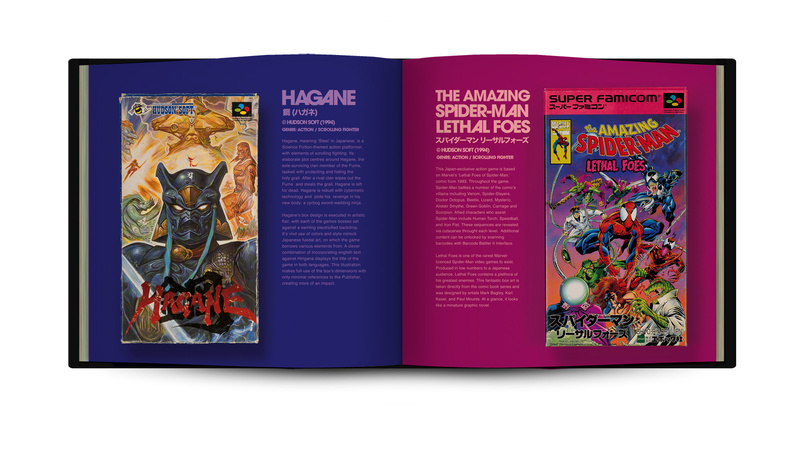 Editing the book and overseeing the content will be Steve Jarratt, ex-Editor of Edge Magazine, Official Nintendo magazine, Total, official Playstation magazine, Amiga Format, Zzap64! Crash!, and countless others. Having Steve onboard is incredible as I've been a fan of many of the magazines he's edited and he's also a huge Super Famicom fan. 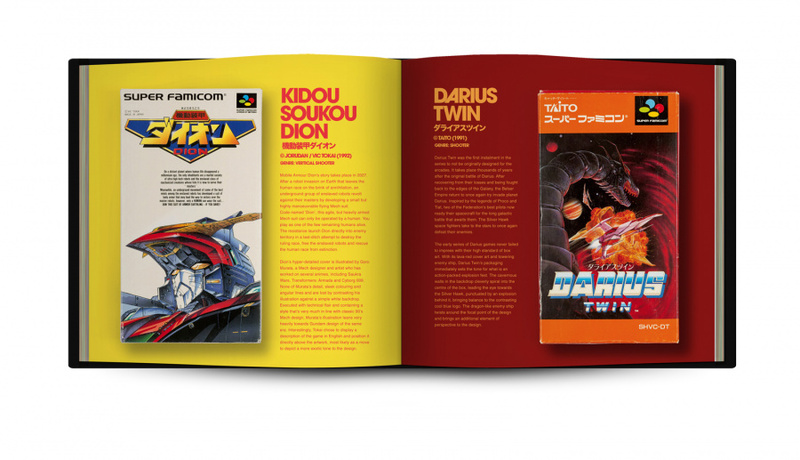 The book will include an foreword by Steve and introductions by James Wragg (project manager at Pyramid, who are just about to launch DariusBurst Chronicle Saviours), Misaki Enami (owner of Japanese Nintendo-licensed store, King of Games), and Van Orton Design (illustrators for Rolling Stone Italy and retro video game fanatics). Will you be buying a copy? Let us know by posting a comment. Buying? Oh, flippin' hell, YES! Depends on the pricing. Ain't gonna be cheap that's for sure. I'm a big fan of Bitmap Books, their 'Commodore Amiga: A Visual Commpendium' book was a thing of beauty. Very much looking forward to seeing what they do with the coffee table book format. It looks simply amazing, can't wait. @Wil was going to comment what a legend Steve Jarrat is from his Total days and then another bonefide legend pops up in the comments. Will- I'm not brown-nosing here but just wanted to say thanks for inspiring me to draw in my youth by attempting to copy your brilliant Super Play art. @Wil very occassionally but im not great. I still have a love of anime which I hold you and Super Play personally accountable for though. Im a big fan of Pete Fowler too. So if you're a leg-end does that make you a foot or an ankle? HERES A BLANK CHECK. This is great!! @placidcasual More of a big toe (one that's been stubbed, too). @Wil Ah big toes- the 2nd most weird looking of all the body parts! All the best Will! This book looks gorgeous, and happy to see it's actually getting made. It honestly looks like a work of art itself. Also, those old box covers are better looking than 99% of modern game box covers, which is a bit sad really. I only wish I had the money to buy a copy of this. I mean look how cool that ^^^ is! I would actually be happy to frame most of those pages and put them on my wall. They look that good. I'm sure getting this. Just the preview pictures alone. Beautiful. Greatest system of all time. I will definitely be buying this book!!! You see that list of games, yet the VC is severely lacking. I wish Nintendo had just put a bit more effort into their half arsed ideas. I feel like I'm the only person here who knows what Wonder Project J is. Looking great, though it's a little irritating that he chose to romanize the title of Chohmakaimura differently in his entry on the game than how it was plainly romanized on its box cover. I hope such blantantly arbitrary choices end with that, concerning the rest of the book. I've got to get this one. Box art was so much better in the 16-bit era. Now I just need one for MegaDrive box art. hopefully the preorders will still be live by the time my taxes come in, this looks awesome!